Marietta will be your special home away from home. You will be challenged in the classroom, and you will learn some amazing things from your professors, but you may not have thought about this yet — the majority of your time at Marietta College will be spent outside the classroom. So get involved in one of our more than 80 clubs, play an intramural sport or attend as many events as possible. Make your college experience memorable. What's life like at Marietta? 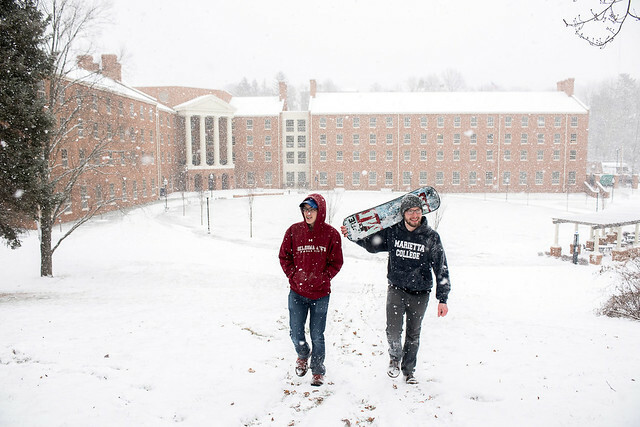 We can tell you all about Marietta College, but why not see some of it for yourself? The gallery below has photos from first-year move-in, Doo Dah Day, PioSOAR, Commencement, volunteer weekend and even everyday life. It's just a small glimpse into what life will be like here, and we think you're going to love it!